Some Philippine heroes may not be as known to the general population as those specifically from the era of Jose Rizal and Andres Bonifacio, or from within the last two decades. But the late Army Capt. Conrado Yap, a native of Candelaria, Zambales, deserves to share the space in every Filipino’s mind and heart where the likes of Rizal, Bonifacio, and Gregorio del Pilar, among many of our distinctly courageous ancestors, have long been immortalized. Hailed for his heroic act in the 1950s during the Korean War, Yap is among those recognized to have contributed to the immense development of South Korea now. Some accounts say he also fought during the Battle of Bataan during the Japanese occupation of the Philippines, and even survived the infamous Death March. 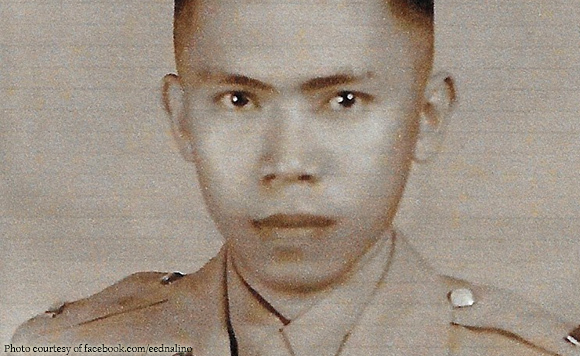 A graduate of the Philippine Military Academy Class of 1943, Yap was part of the nearly 7,500-strong Philippine Expeditionary Task Force to Korea, under the United Nations Command, when the Korean War broke out in June 1950. Yap, then married with three very young daughters left in the Philippines, served as Commander of the Tank Company, 10th “Steady On” Battalion Combat Team (Motorized) of the PEFTOK. The battalion, according to South Korea’s Ministry of Patriots and Veterans Affairs (MPVA), participated in the war from September 1950 until September 1951. The other Philippine units, in varying periods, took part from April 1951 through May 1955. “While attempting to recover and rescue his fallen comrades, after he and his men had secured a strategic location that restored the Filipino front line and saved the lives of hundred of U.N. Command soldiers,” Yap was killed by enemy fire on April 23, 1951, Amb. Han wrote in his column. Defying his battalion commander’s orders to withdraw, and “the overwhelming enemy strength and heavy fire received from flank and to the front, his troops relentlessly pressed the assault, regained the hill, evacuated the casualties, and rescued the isolated unit,” the account said. “Observing a stricken soldier on the slope of the hill, Captain Yap immediately started to rush toward the man, but was mortally wounded by a burst of enemy fire,” it added. “There is no doubt that the Republic of Korea will not be enjoying peace, democracy and economic prosperity today without the noble and great sacrifice of Filipino Korean War veterans,” Han wrote. South Korea’s MPVA recorded a total of 490 casualties from the Philippine contingent during the Korean War, including 116 killed-in-action, 313 wounded-in-action, and 61 missing-in-action and prisoners-of-war. During the 65th anniversary in July last year of the signing of the Korean Armistice Agreement, which ended the three-year tragic war, South Korea honored Yap with the highest recognition for military bravery and valor, the First Class Taegeuk Cordon of the Order of Military Merit. His second daughter, Isabelita Yap-Aganon, received the award. “My father’s death is not in vain, because, the way I look at Korea now, it has progressed so much. It is really amazing,” Isabelita said in an interview at the time, aired on Arirang News. Yap had much earlier been posthumously awarded the Congressional Medal of Valor by the Philippine government, and the Distinguished Service Cross by the United States government. “With the realization that you will no longer come back to us physically, the only consolations Mom had were the honors that were bestowed on you,” Isabelita said in her remarks during the commemoration of the 65th anniversary of the Battle of Yuldong in April 2016, at the Libingan ng mga Bayani, a copy of which was shared on the Facebook page of the Philippine Veterans Affairs Office. “You earned both of these honors in the Korean War, fighting for democracy and for sacrificing your life beyond the call of duty. We are so proud of you. And we, your children, try to live up to that precious heritage you left us in our small ways,” she added. To immortalize the legacy of Yap, especially within the military, a number of physical structures have been named after him, including the PMA Mess Hall in Baguio City, and another building at Camp O’Donnell in Capas, Tarlac. The Philippine Navy named after him a fleet of patrol boats from South Korea in 1993, but has since been decommissioned in 2018. A recent Philippine News Agency report said a newly donated Pohang-class corvette that the Philippine Navy will receive from South Korea will also be named after Yap. In military doctrines and lectures, both for cadets and those already in the active service, Yap’s experience is also cited when the topic touches on valor. In Candelaria, a statue of Yap is currently being erected at the town plaza, fronting the municipal library, and it is expected to be completed in a few months. The municipal library is also being considered to be named after him. And, beginning last year and every year thereafter, April 23 is celebrated in Candelaria as “Captain Conrado D. Yap’s Day,” which the municipal council declared as “Special Non-Working Holiday” in the entire municipality. “This yearly celebration of his death will instill (in) the hearts of every Candelarians that our town had produced (a seat) a hero in the name of Captain Conrado D. Yap,” it added. The said ordinance requires the Department of Education “to integrate in their Araling Panlipunan, Social and History the life of heroism” of Yap. “The municipal library will be provided with reading and reference materials for this purpose,” it said.